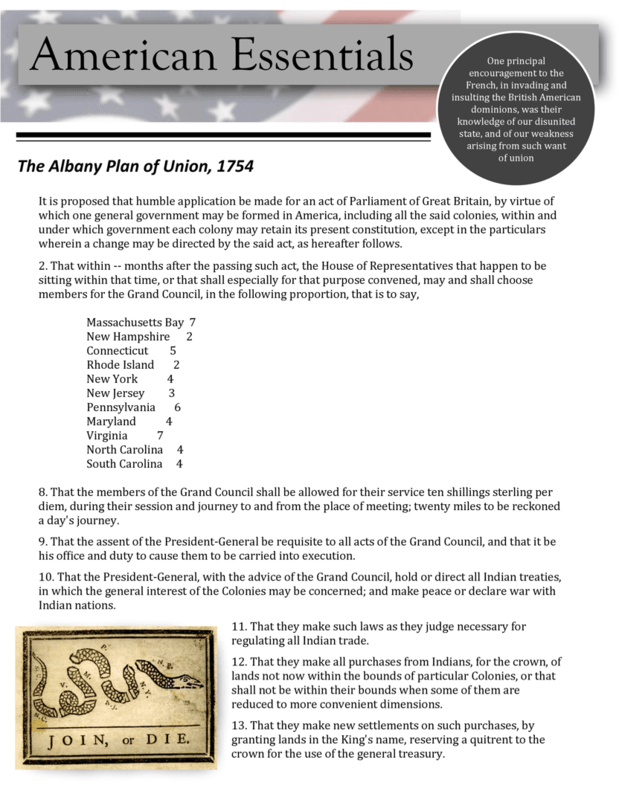 Albany Plan of Union Primary Resource study. Reading paragraph 10, it appears that the President-General fullfills what similar elected official described in our Constitution. What is your opinion of that position when it comes to making peace or declaring war? Explain your understanding of what paragraph number 13 suggests when reserving a part for the British government? Which of the original "13" colonies were not represented at the meeting? Where do the Quakers live? 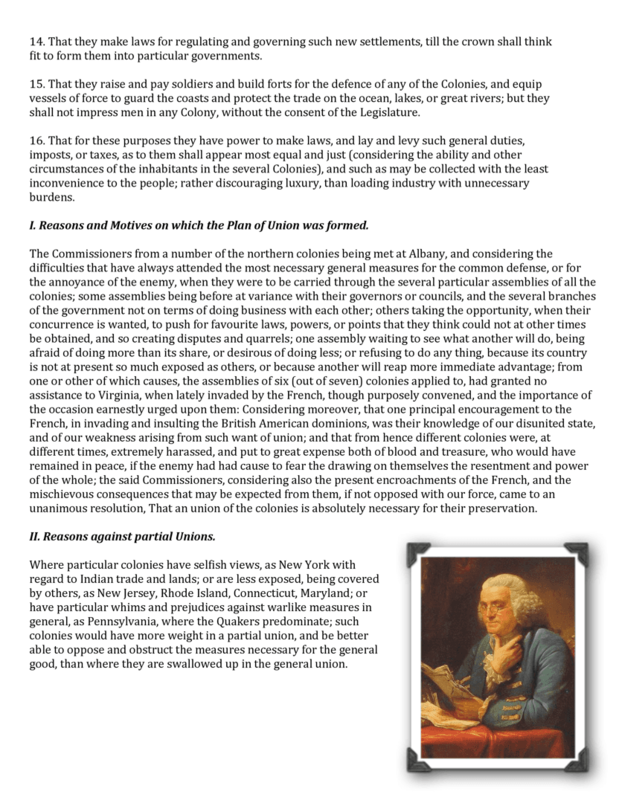 Using your knowledge of the Ben Franklin's proposal for the Albany Plan of Union. Give two or three good examples of why or why not this plan would have brought a central government to the British colonies?